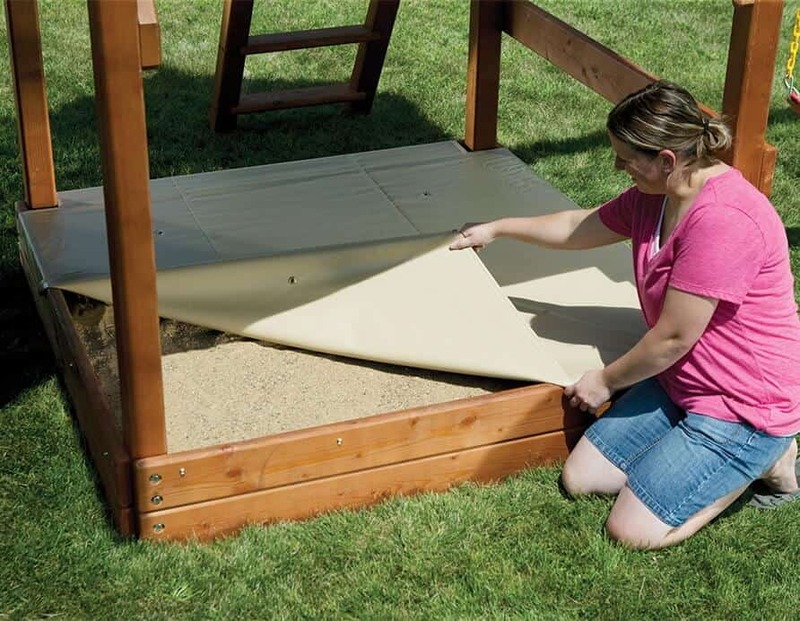 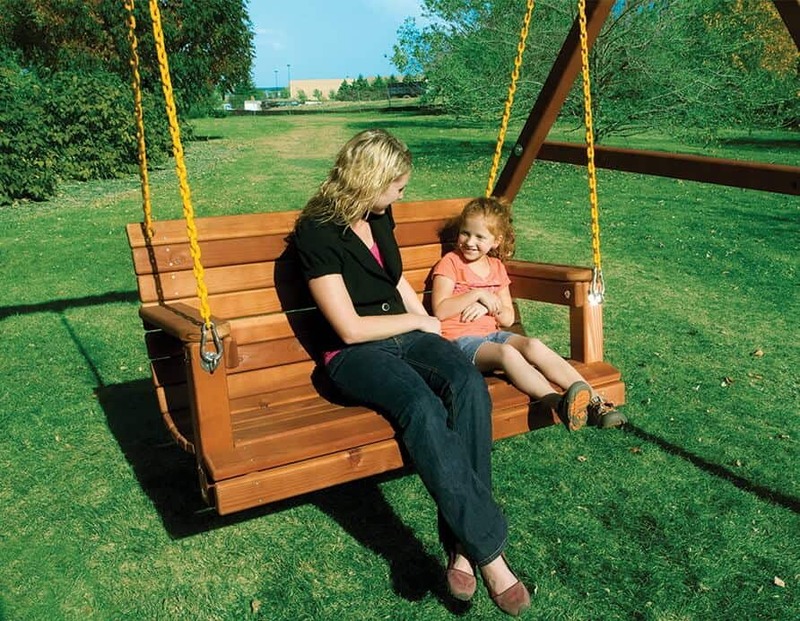 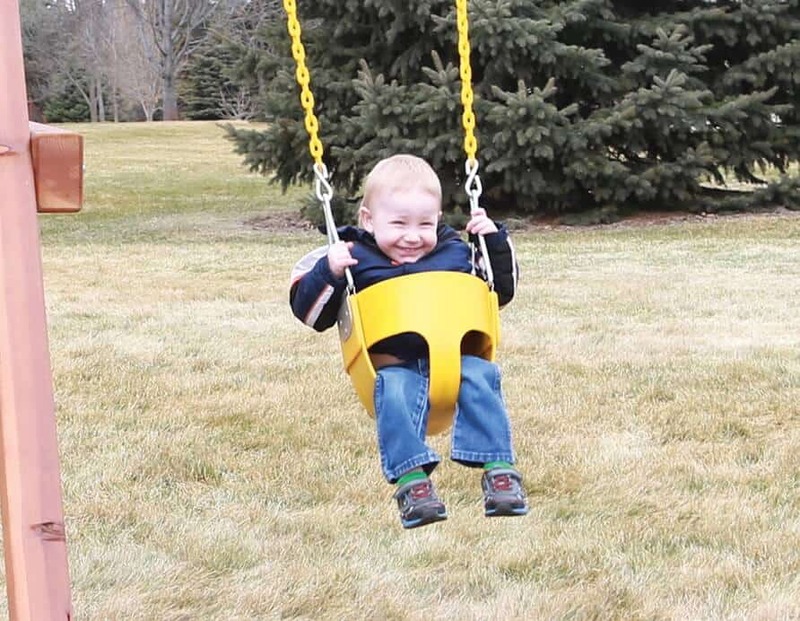 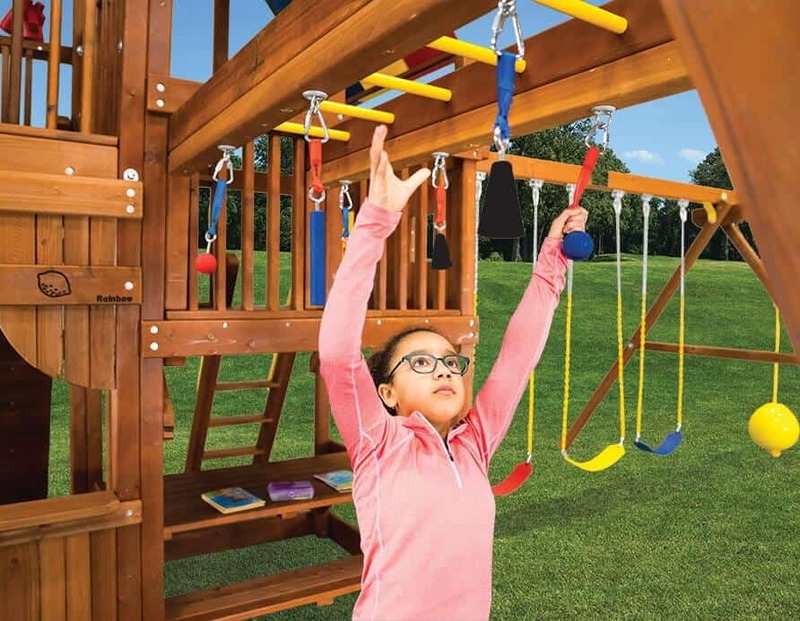 Design your very own Rainbow Playset and make all of their backyard dreams come true! 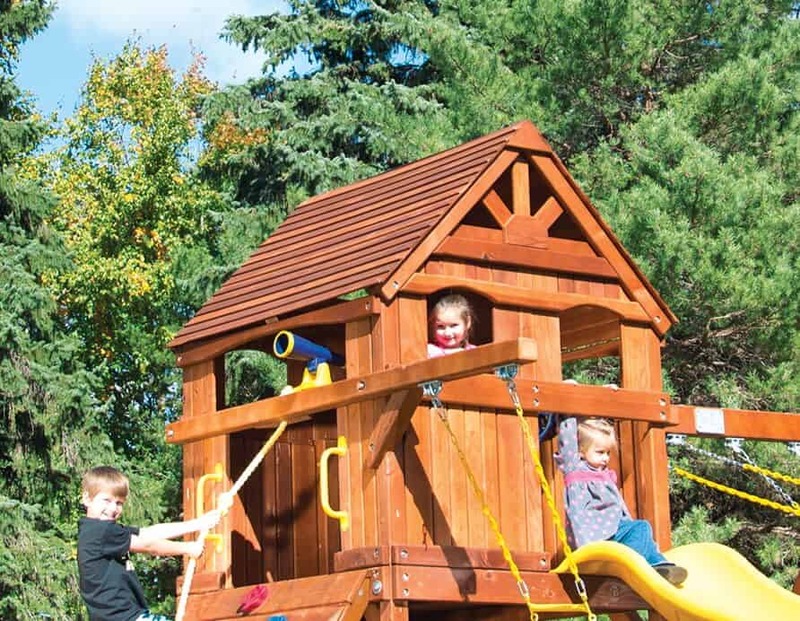 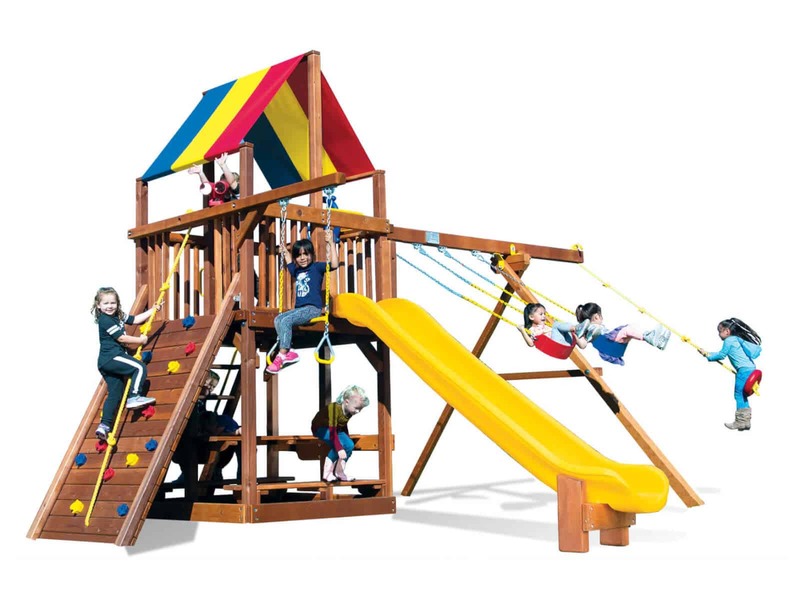 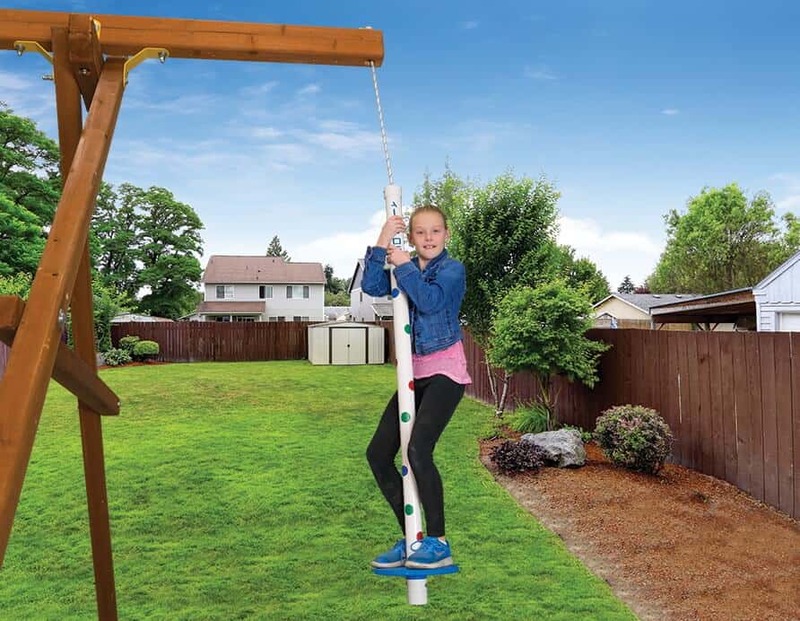 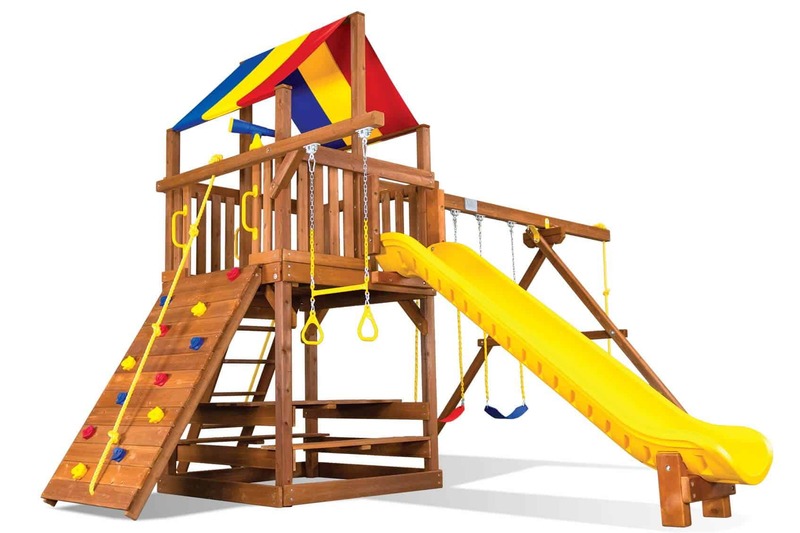 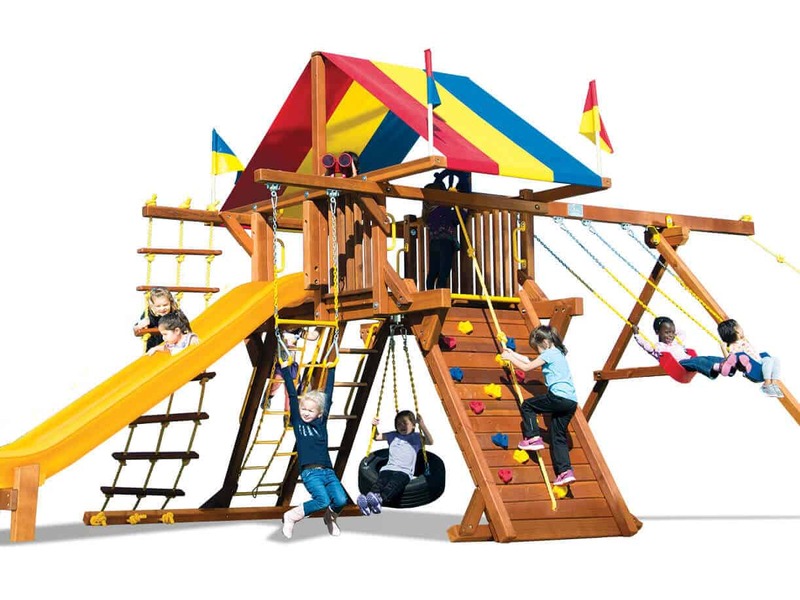 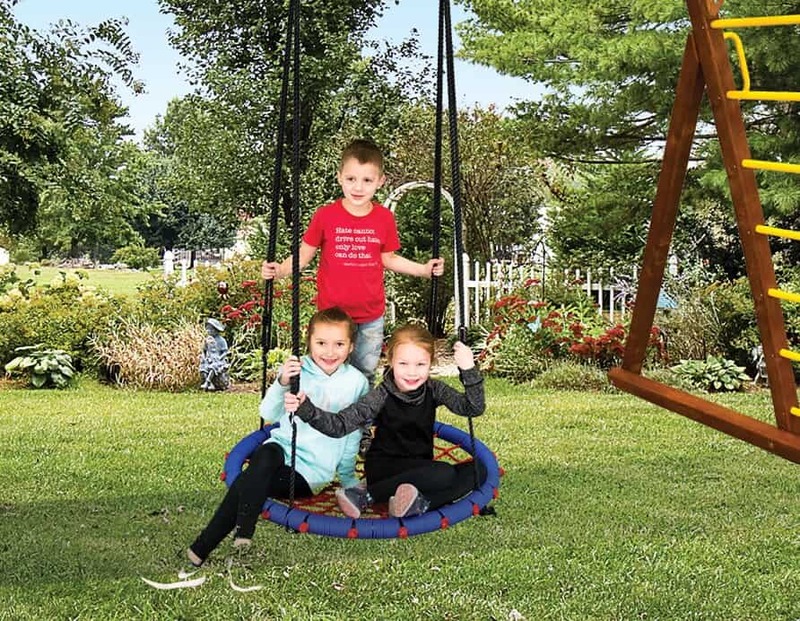 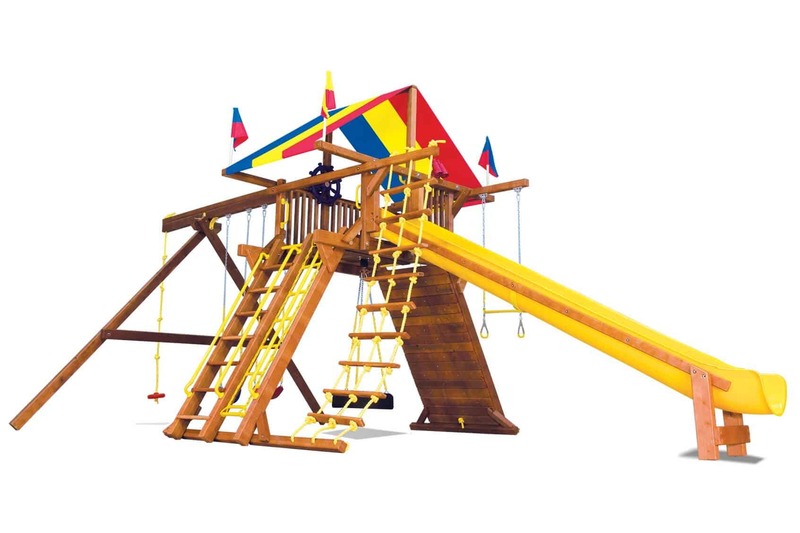 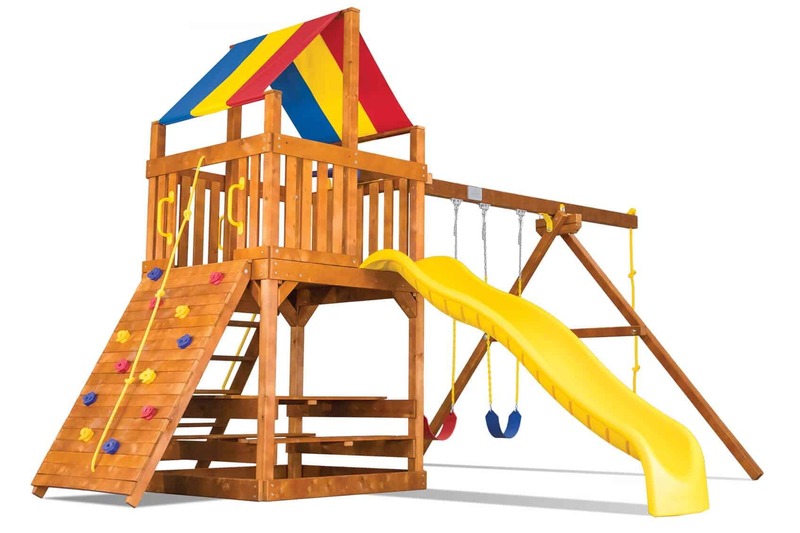 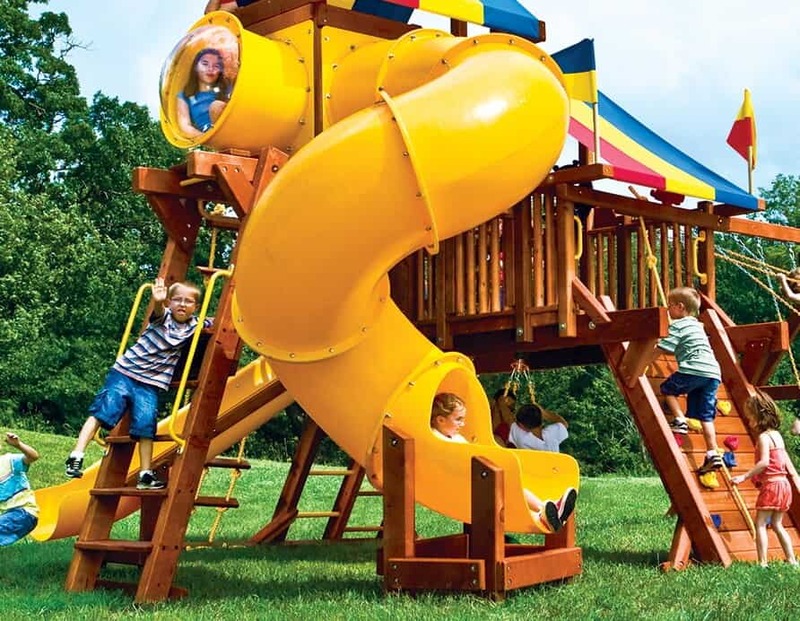 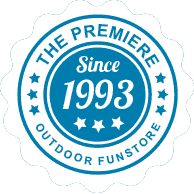 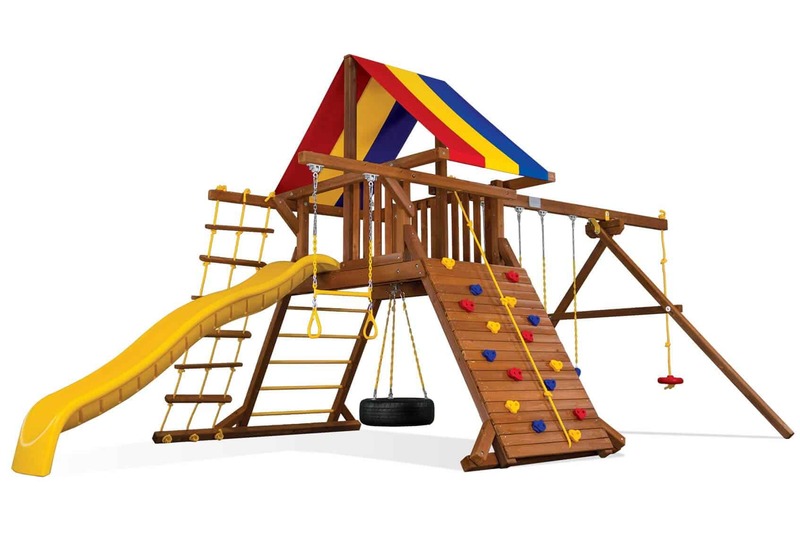 With our best price guarantee on the highest quality Playsets available, we know you'll be enjoying the fun for years to come! 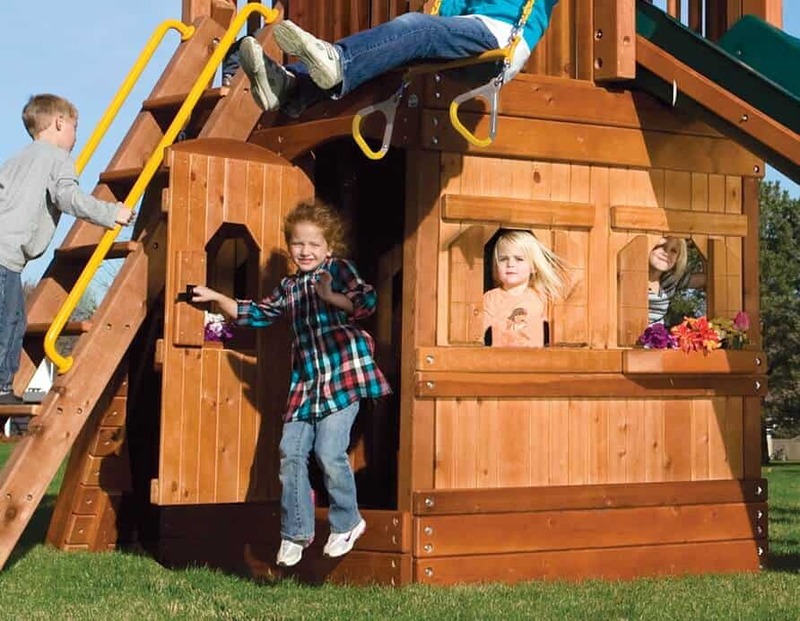 Getting started is as easy as 1-2-3! 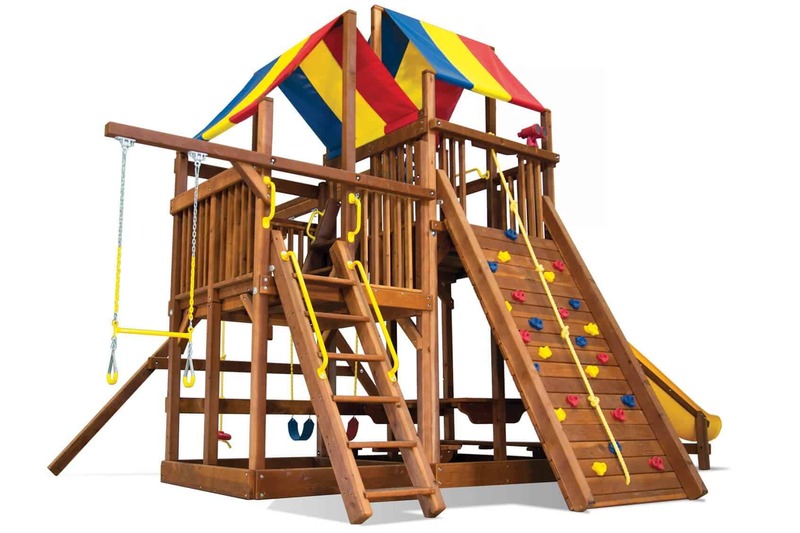 Treat your kids like royalty with the Castle Style framework. 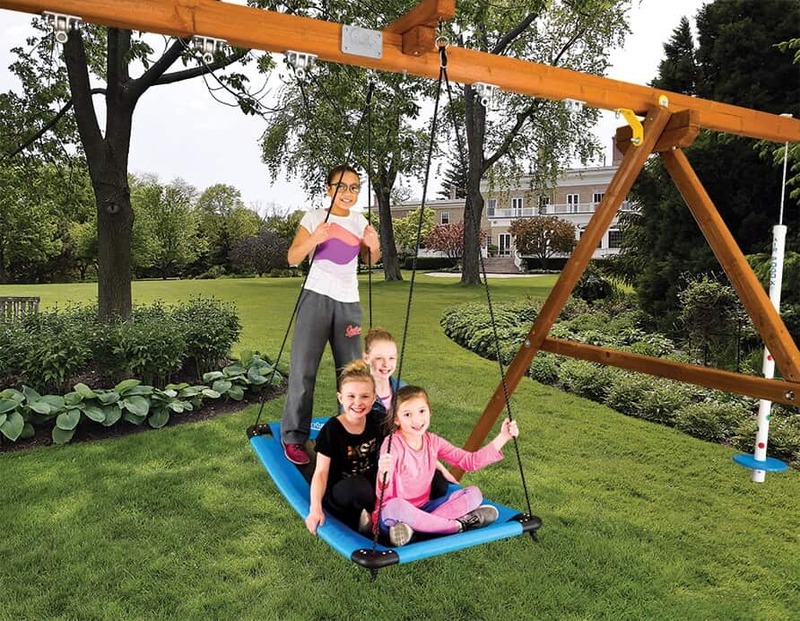 Everybody’s invited to join the club! 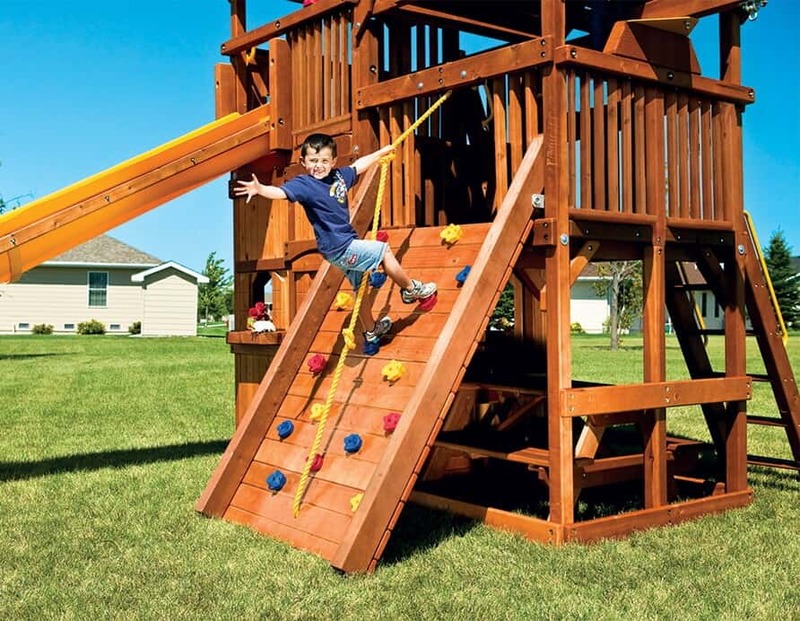 Climbing Ramp Option offers more than one way to reach the top! 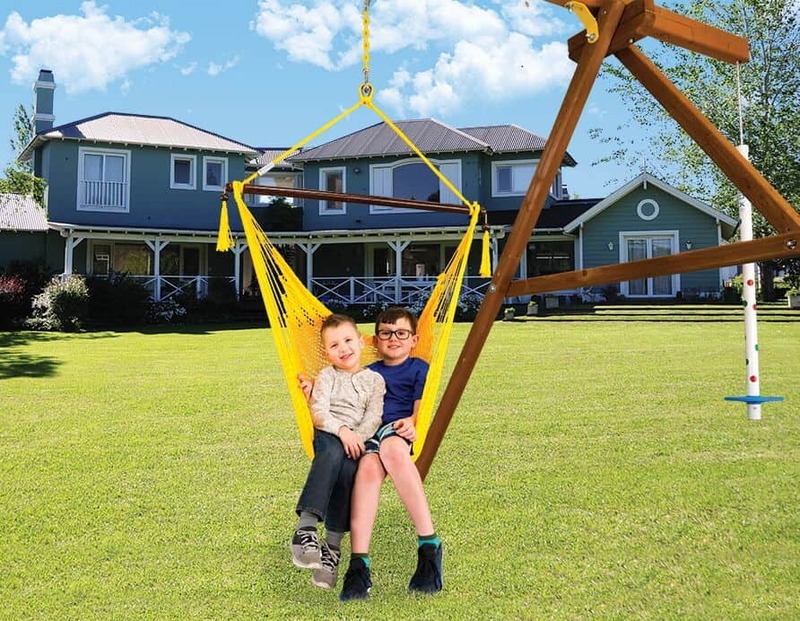 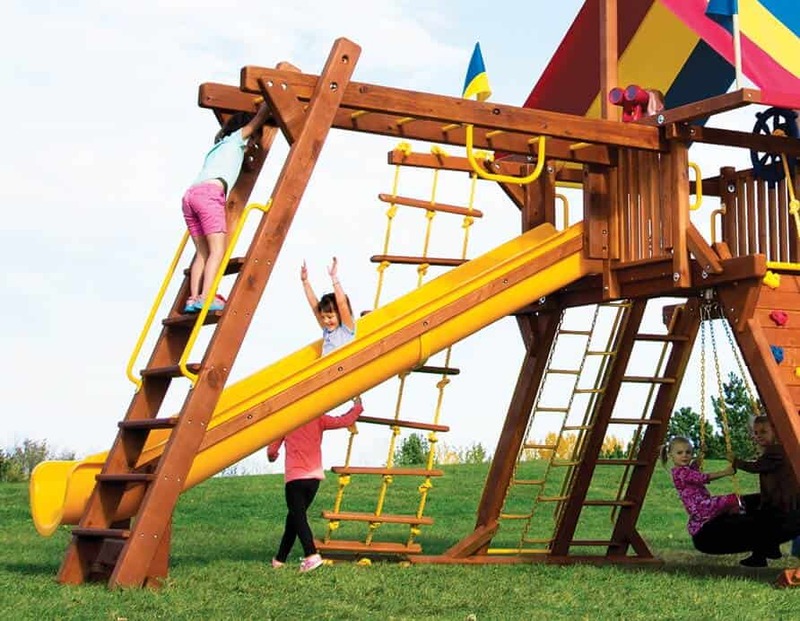 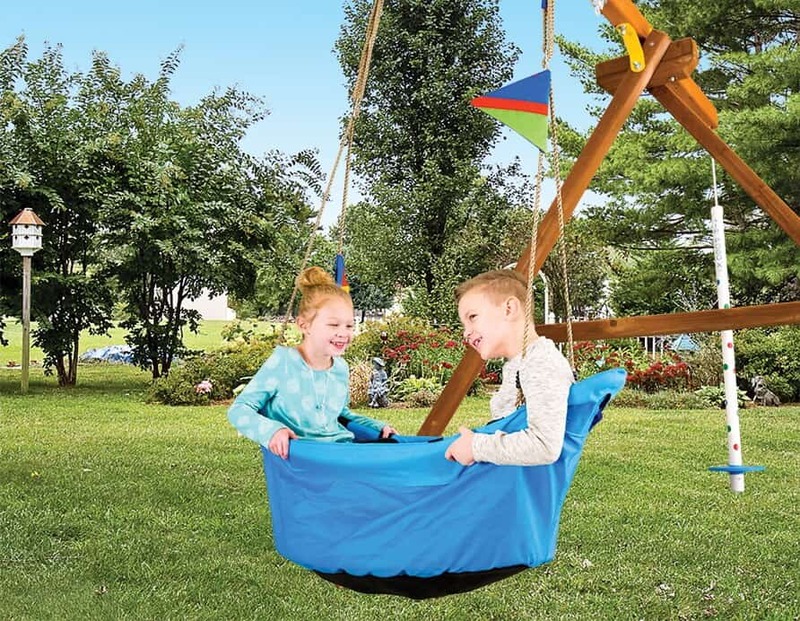 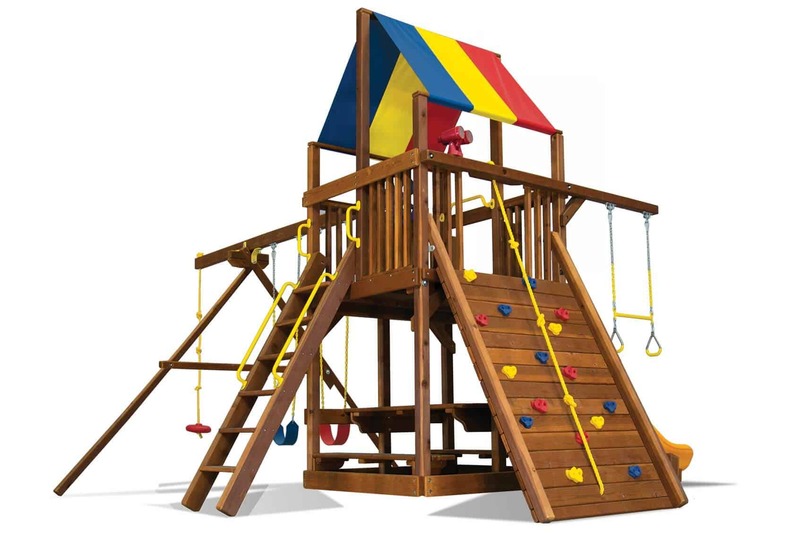 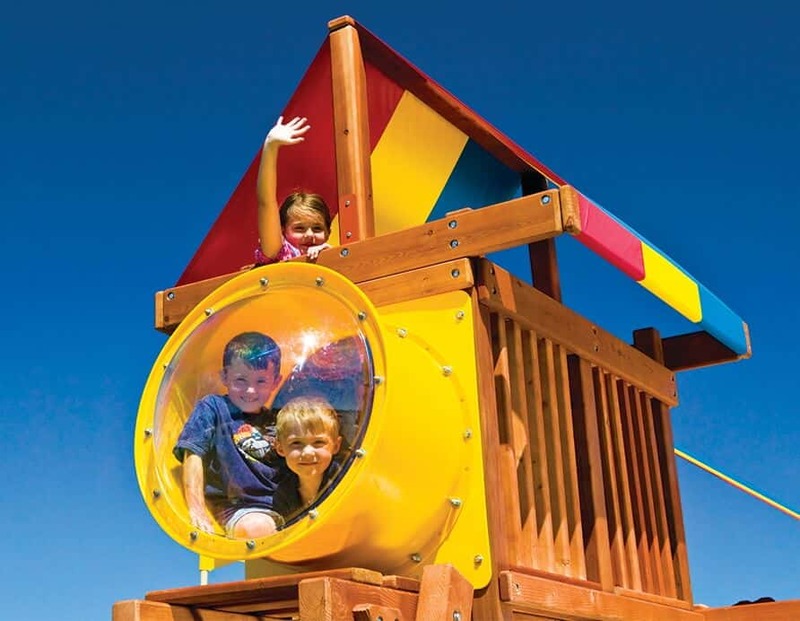 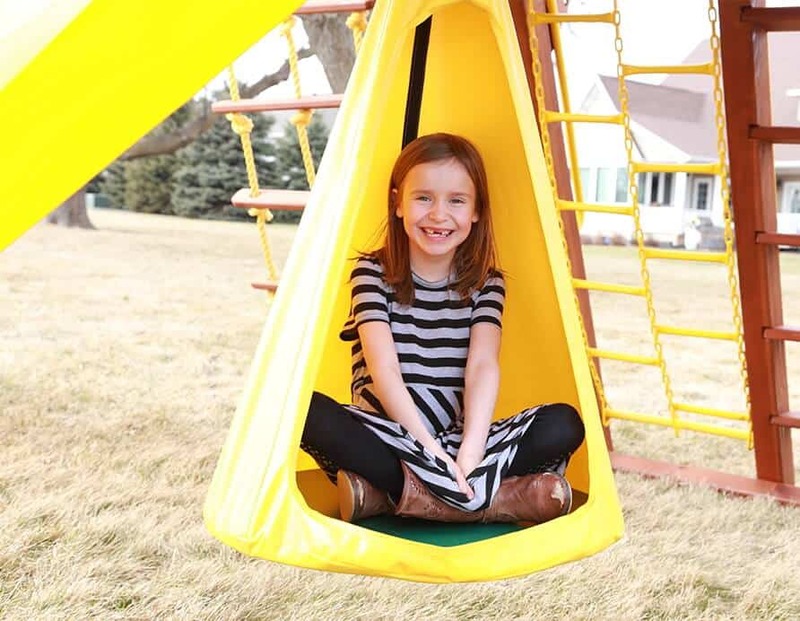 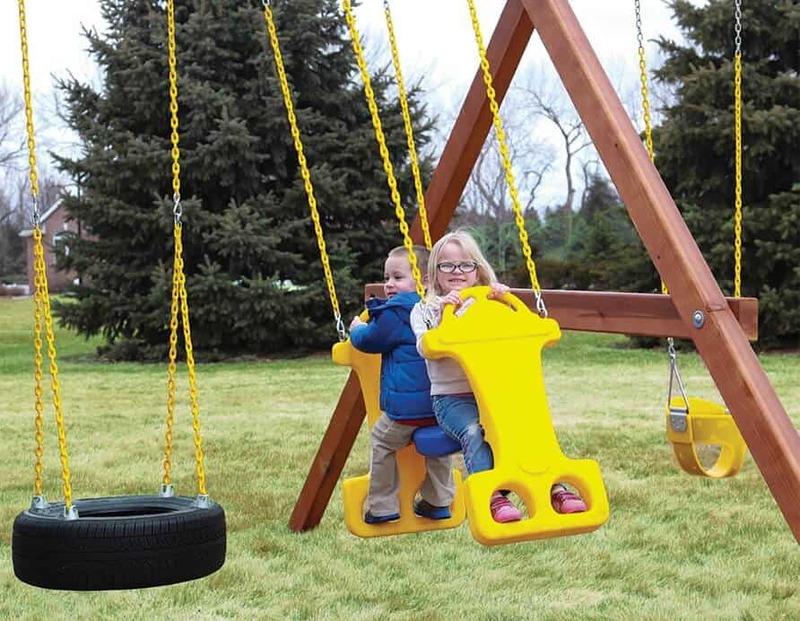 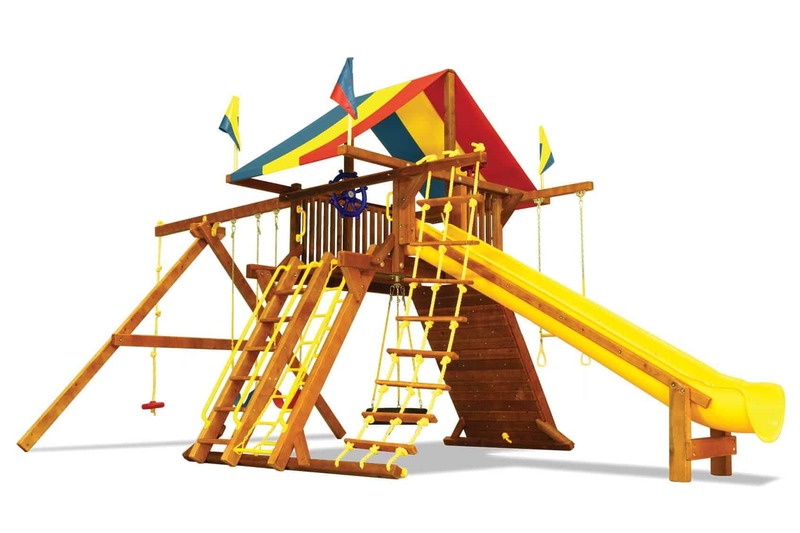 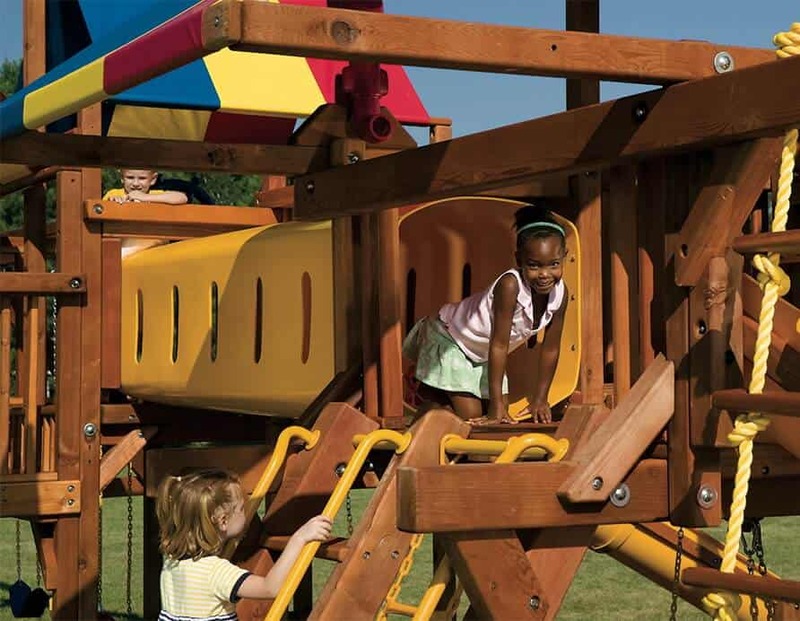 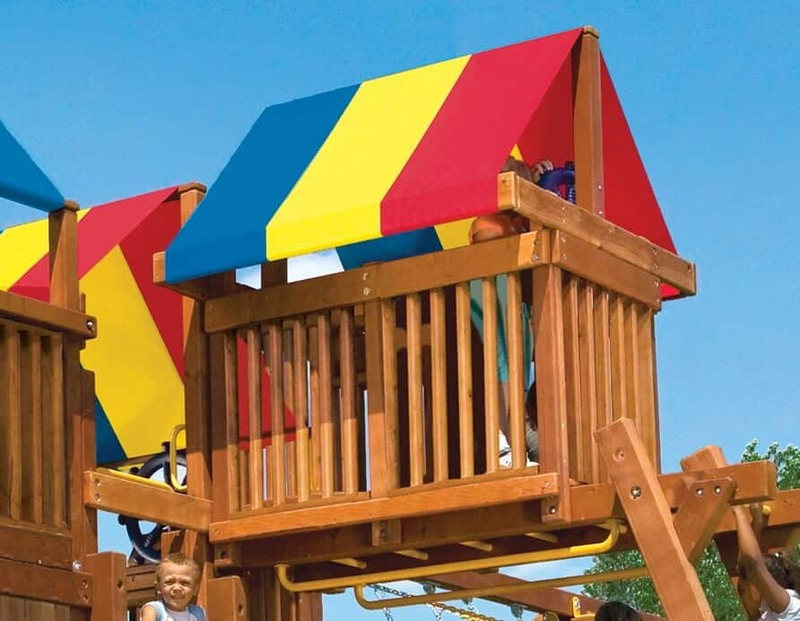 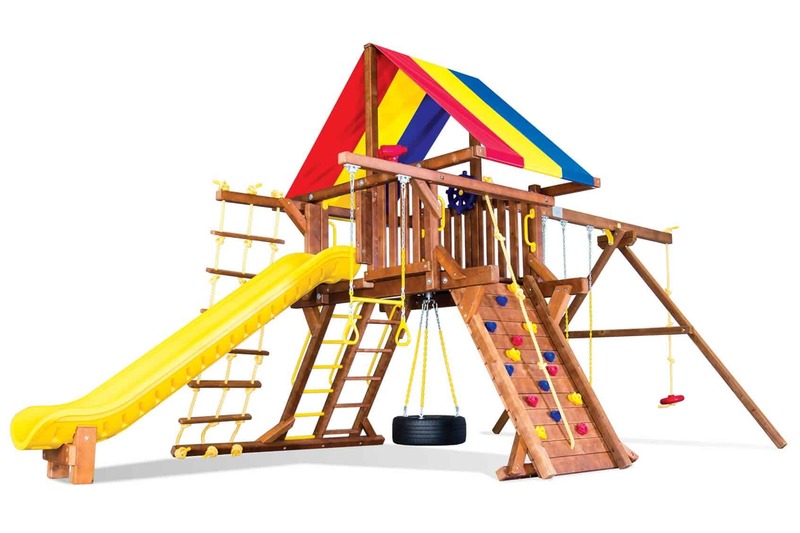 4' 10" – 5' 6"
5' 2" – 5' 10"
5' 2" – 5' 6"
7' 2" & 5' 2"
Call today and get a quote on your Rainbow Playset and be enjoying your the fun in the sun in no time!